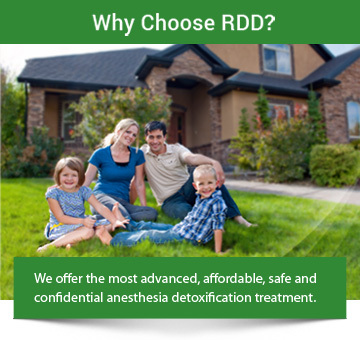 We are so grateful that my son went through your RDD procedure last year (March 2012). Since then, everything is straightening up and from good to better. Now he is the same person we used to know before being dependent on drugs, may be better after this experience. He is working now in a good position and successfully advancing in his work and social life. We are really blessed. Thank you for the help and support. Have a nice day wishing you the best.